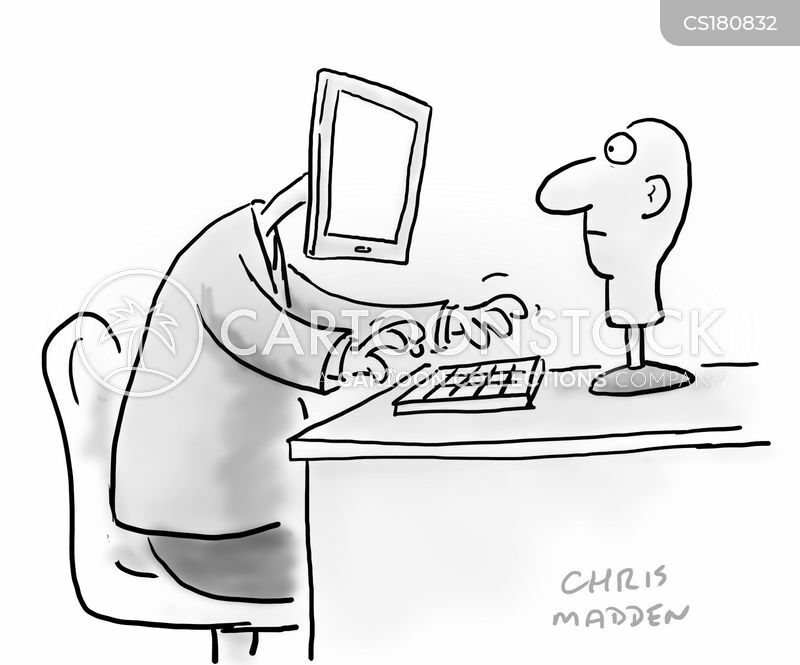 When on-line and off-line life become indistinquishable. 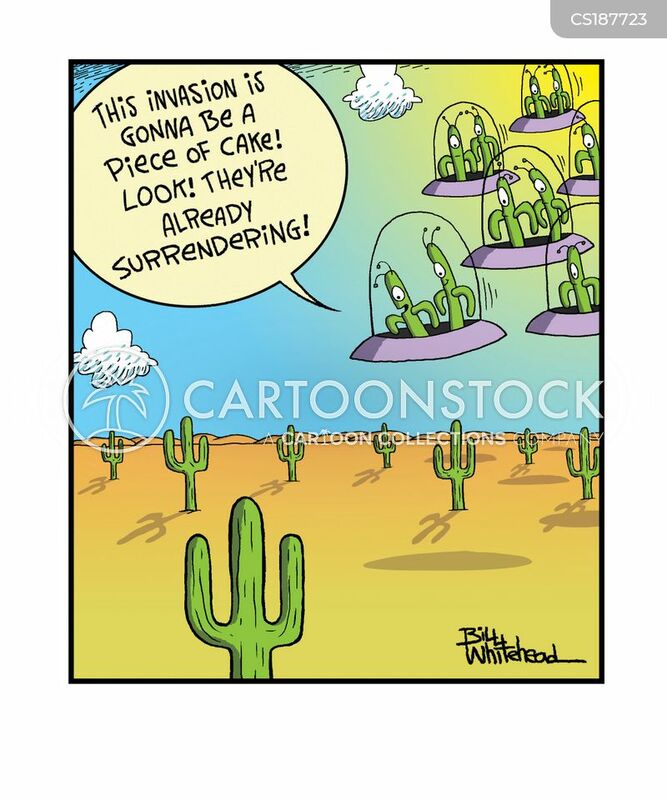 "This invasion is gonna be a piece of cake. 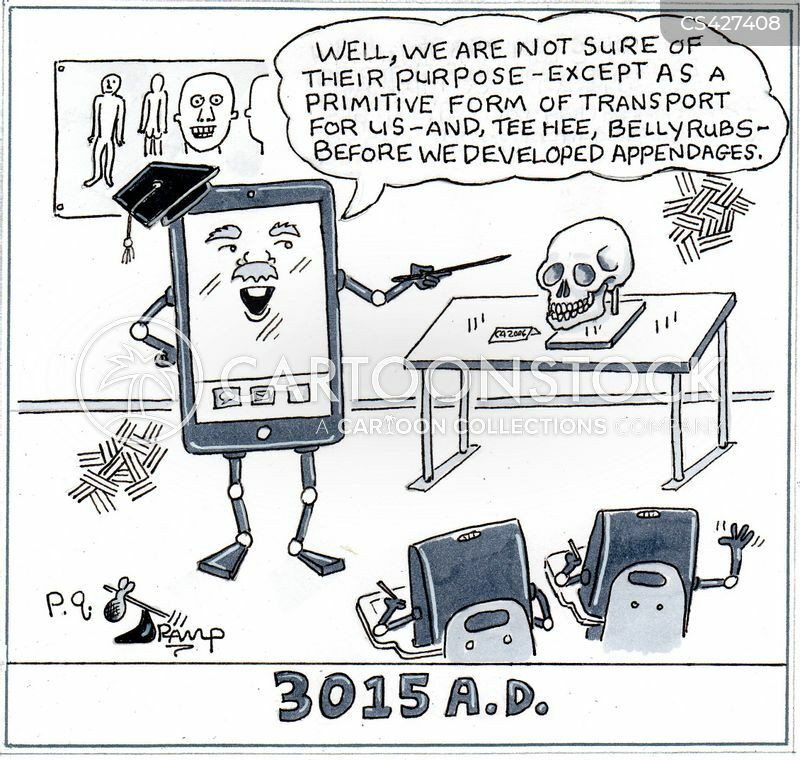 Look, they're already surrendering." 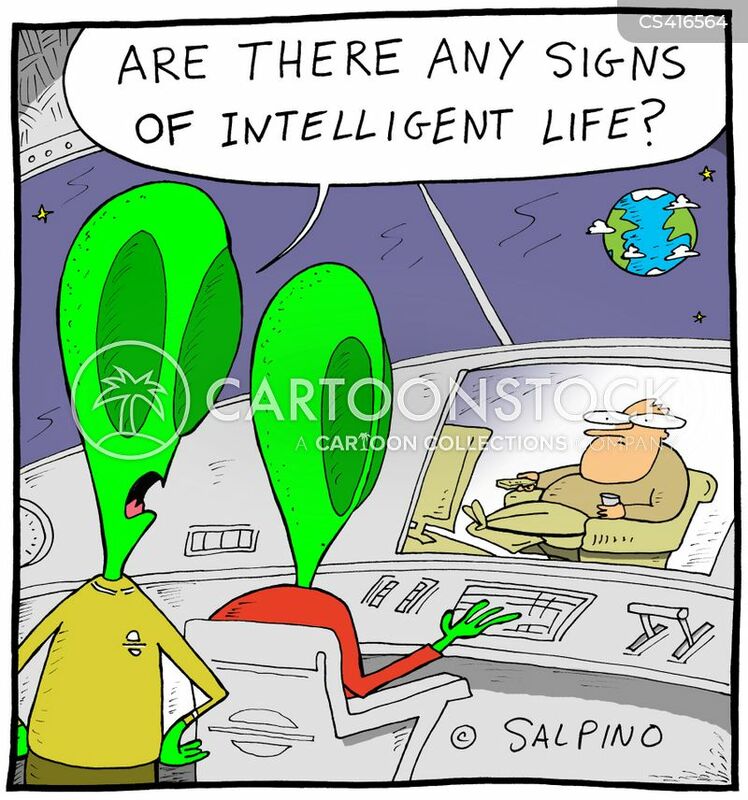 "Yeah, there's life here, but not intelligent life." 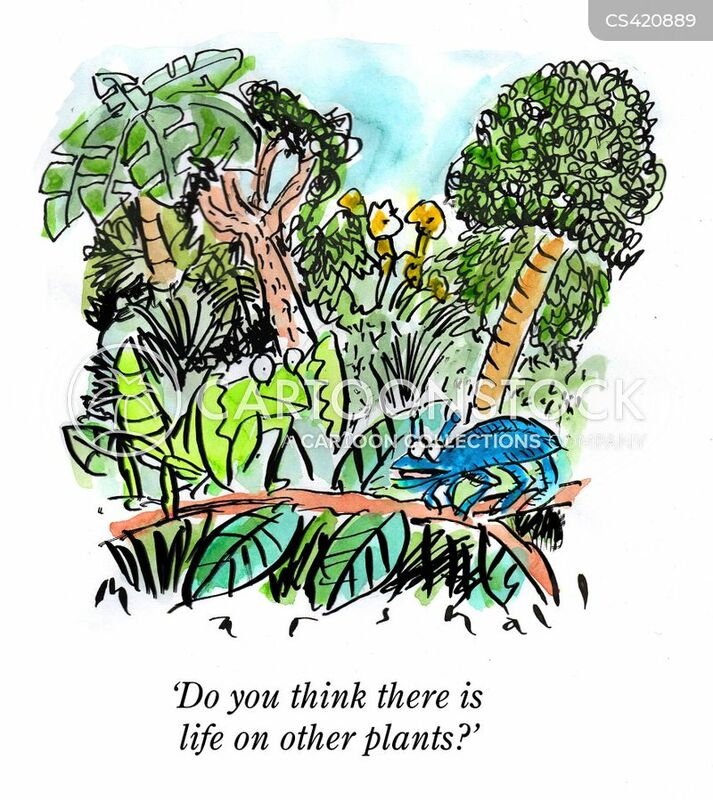 "Do you think there is life on other plants?" 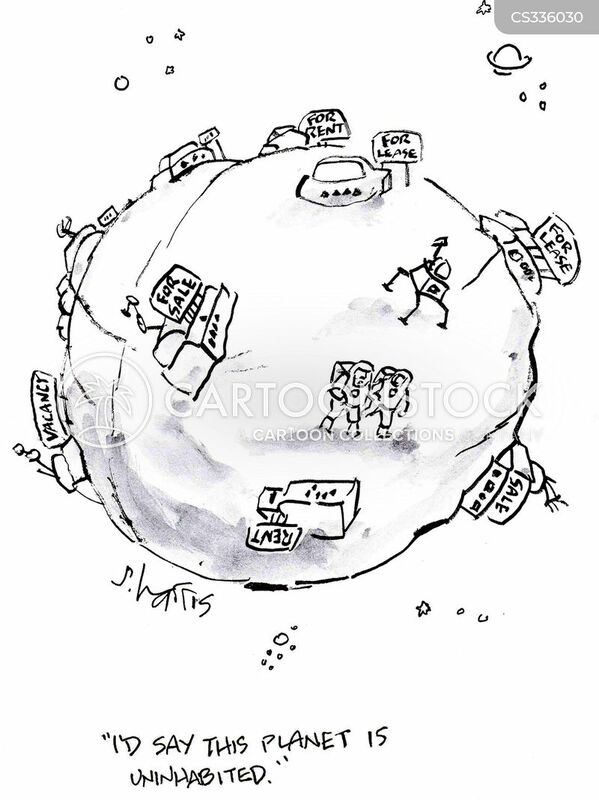 "Here it is, world! 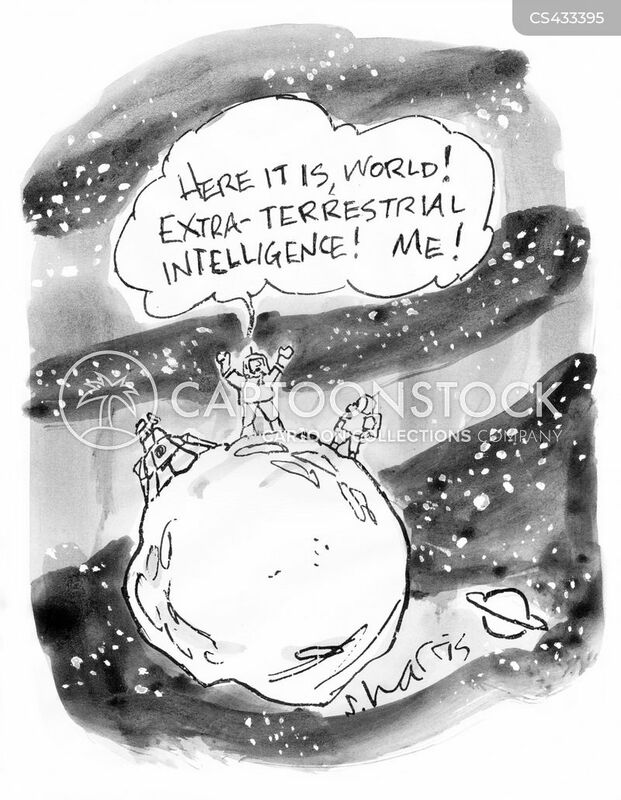 Extra-terrestrial intelligence! 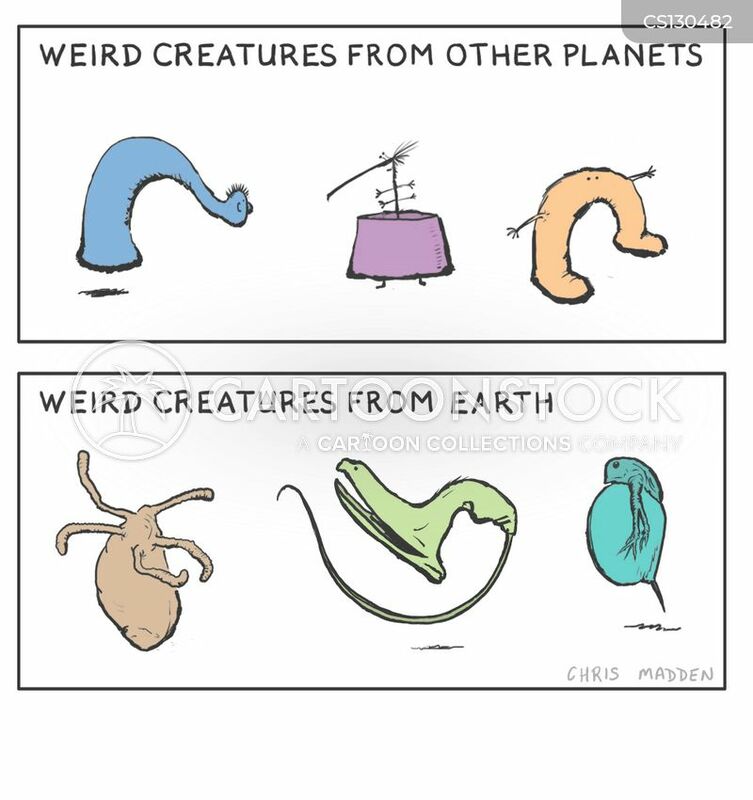 Me!" 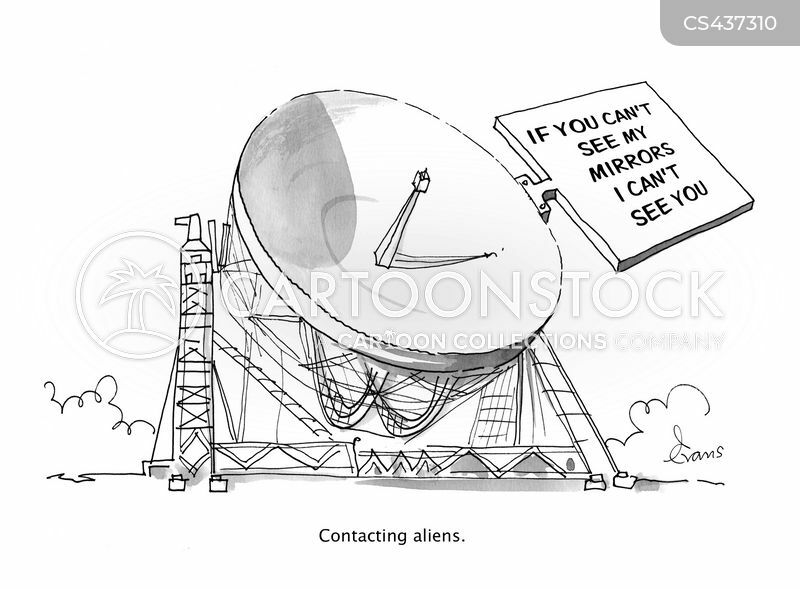 "Well, we are not sure of their purpose - except as a primitive form of transport for us..."
If you can't see my mirrors I can't see you. 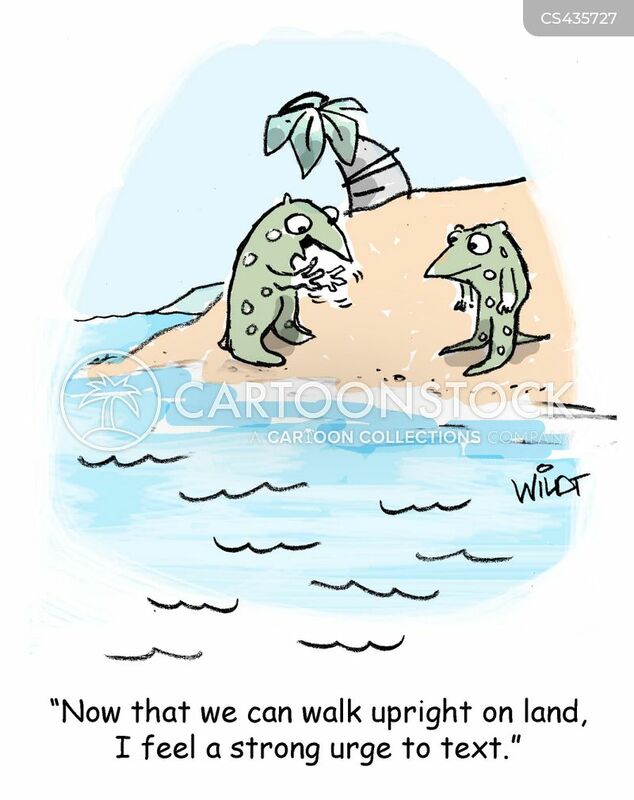 "Now that we can walk upright on land, I feel a strong urge to text." 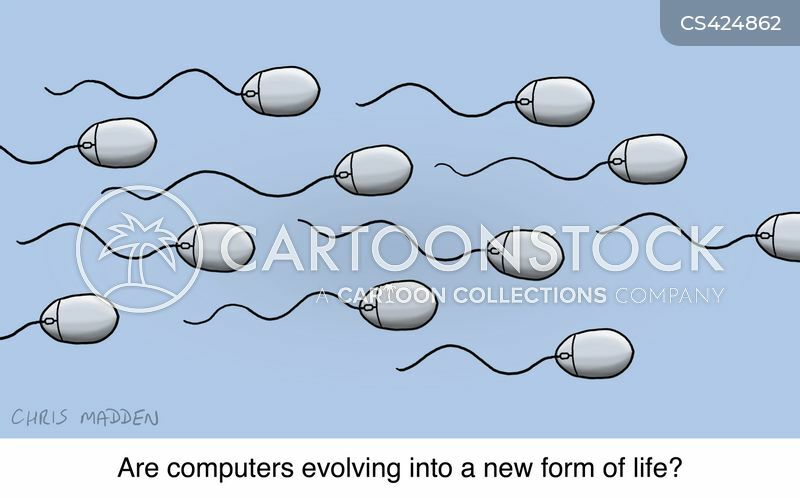 Are computers evolving into a new form of life? 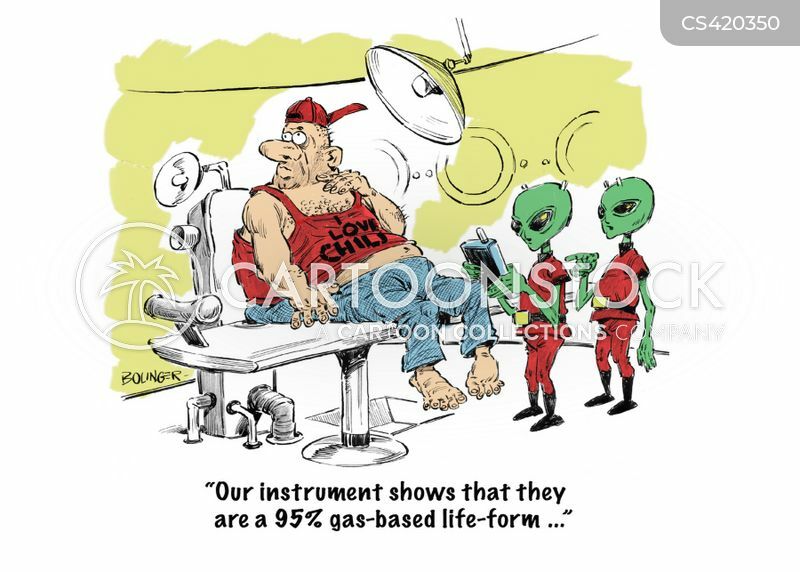 "Our instrument shows that they are a 95% gas-based life-form..."
Strange and exotic creatures that exist on other planets - and ones that exist here on earth. 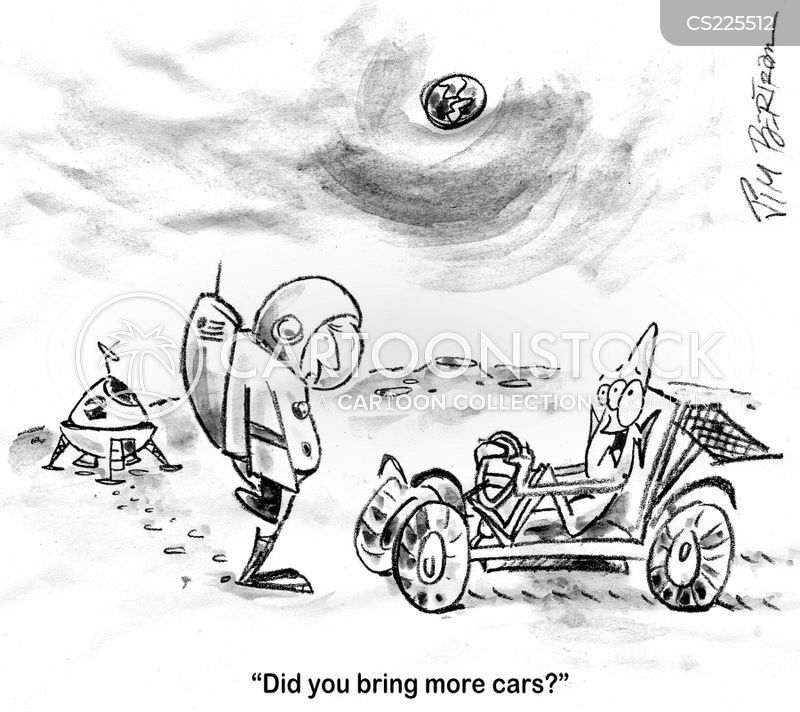 "Did you bring more cars?" 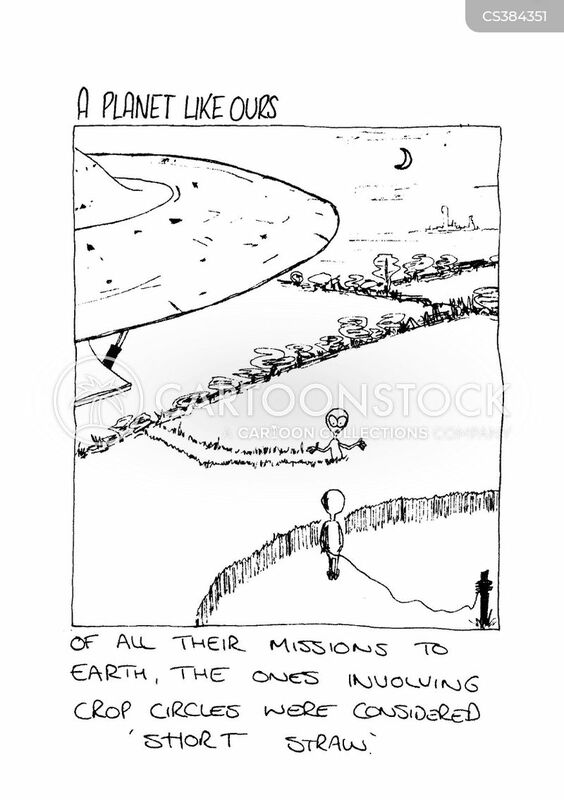 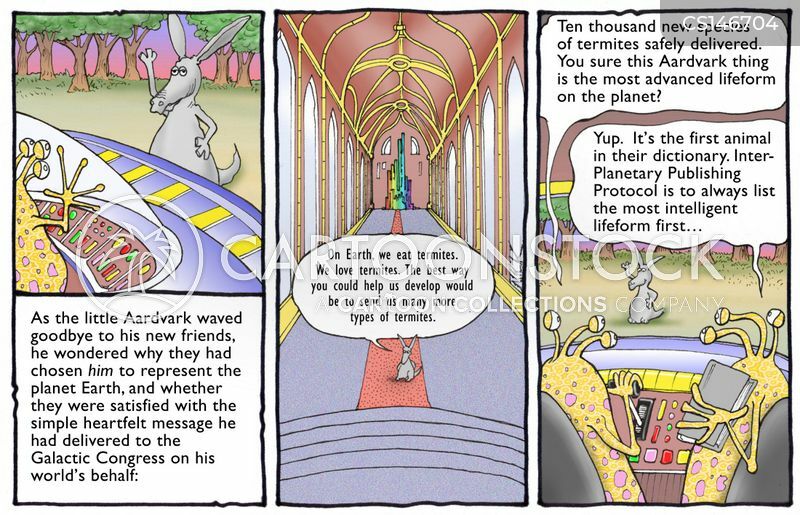 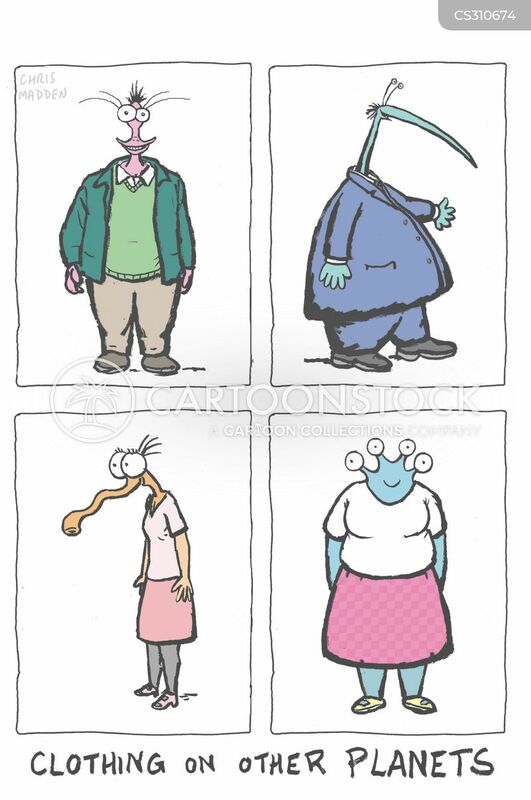 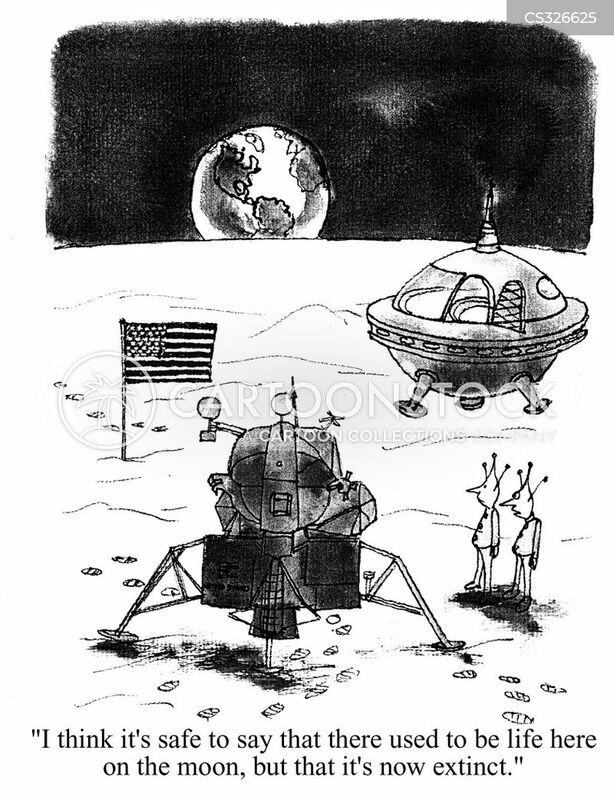 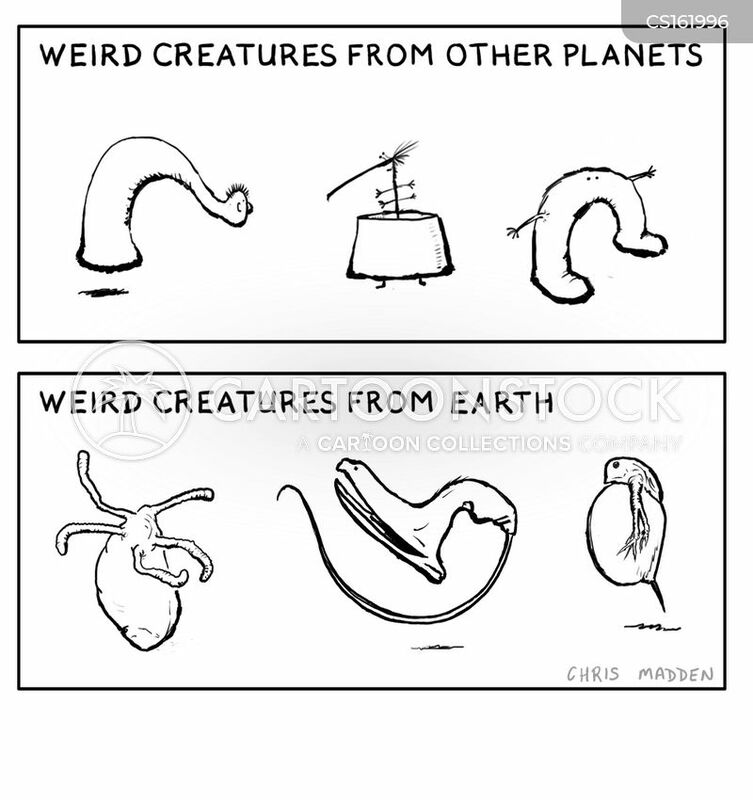 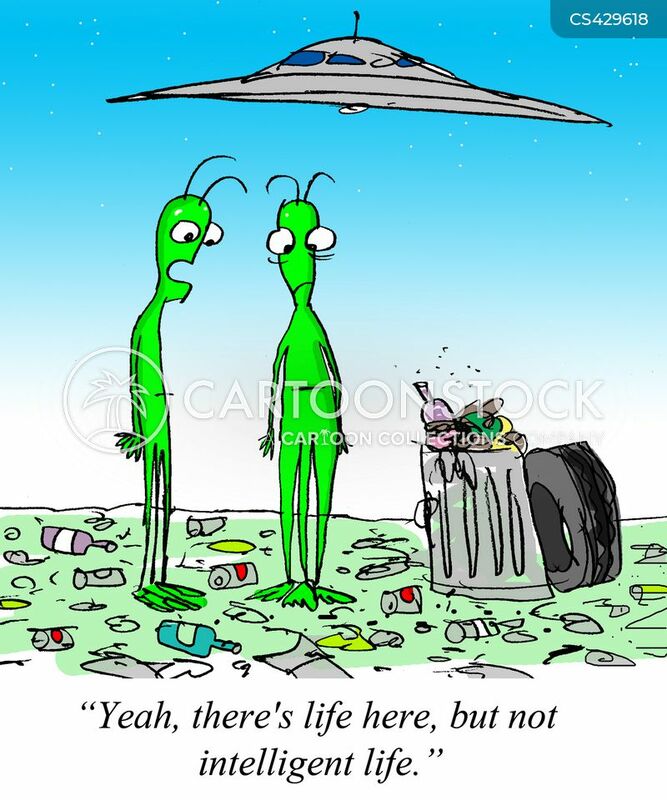 Cartoon showing the clothes worn by aliens on other planets (They are remarkably similar to those here on earth).